The Clean Power Plan is the culmination of almost a decade’s worth of efforts to regulate greenhouse gases under the Clean Air Act (“CAA”). In 2007, the Supreme Court held in Massachusetts v. EPA that the EPA can regulate greenhouse gases under Section 202(a)(1) of the CAA, which states that the EPA “shall by regulation prescribe . . . standards applicable to the emission of any air pollutant from . . . new motor vehicles or new motor vehicle engines, which in his judgment cause, or contribute to, air pollution which may reasonably be anticipated to endanger public health or welfare.” Two years later, the EPA made such an endangerment finding and concluded that greenhouse gases endanger the public health and welfare by contributing to climate change. This endangerment finding required the EPA to regulate greenhouse gas emissions from mobile sources, which it did through the Tailpipe Rule. The EPA also sought to regulate stationary sources for greenhouse gases via the Tailoring Rule, which adapted the prevention of significant deterioration (PSD) provisions of the CAA to greenhouse gases by massively increasing the threshold amount of GHG emissions that would subject a stationary source to permit requirements. In 2014, the Supreme Court in Utility Air Regulatory Group v. EPA struck down the Tailoring Rule as exceeding the EPA’s statutory authority, but allowed the EPA to regulate stationary sources that were already subject to PSD permitting requirements for other air pollutants. Given the Supreme Court’s decision in Utility Air Regulatory Group, the EPA needed to pursue other means for regulating greenhouse gas emissions from stationary sources under the CAA. Section 111(d) requires the EPA to regulate air pollutants “for which air quality criteria have not been issued or which is not included on a list published under section [108(a)] or emitted from a source category which is regulated under section .” The EPA is directed to develop “standards of performance,” defined to mean the best system of emission reduction (BSER) adequately demonstrated, for sources that emit these air pollutants. Because greenhouse gases are neither regulated as a hazardous air pollutant under Section 112 nor under a National Ambient Air Quality Standard (NAAQS) under Section 108(a), the EPA sought to use this provision to regulate greenhouse gases from stationary sources. Enter the Clean Power Plan, an ambitious directive to reduce emissions from fossil fuel-powered electric generating units (EGUs) through the imposition of the BSER standard. The CPP contains three basic elements: 1) performance rates for electric steam generating units (i.e. coal-fired or oil-fired plants) and natural gas combined cycle generating units based on the BSER; 2) state-specific emission reduction goals calculated based on the above performance rates and the state’s mix of affected EGUs, expressed as both emissions rates and overall mass; and 3) guidelines for developing state plans that implement the performance rates through either the rate-based or the mass-based method. All of the performance standards outlined in the CPP are to be phased in over an eight-year period starting in 2022. States have considerable flexibility in adopting a plan to achieve the target emission reduction by 2030, including whether to adopt the rate-based regulation or instead opt for a mass-based approach. The EPA determined that the BSER is comprised of three building blocks: 1) improving the heat rate of coal-fired EGUs, 2) substituting natural gas combined cycle EGUs for higher carbon-intensity steam generating plants, and 3) substituting no-carbon renewable energy generation for fossil-fuel EGUs. The final performance rates established by the EPA were 1,305 pounds of CO2 per MWh for fossil fuel-fired steam generation units and 771 pounds of CO2 per MWh for stationary combustion turbines. The EPA then calculated emission reduction goals by 2030 for each state based on their mix of affected EGUs. The CPP directs states to develop and implement plans that meet their individual emission reduction goals. States can choose to adopt either an emission standards plan, containing source-specific requirements to ensure power plants meet the necessary performance standards, or states can adopt a “state measures approach,” whereby the state implements a variety of statewide measures, including renewable energy and energy efficiency programs, to achieve the emission reduction goal. These statewide measures must be enforceable at the state level and must contain a backstop of federally enforceable emission standards for affected EGUs to ensure that the state achieves the emissions goal by 2030. The CPP also affords states the opportunity to work with other states to develop regional or multi-state approaches, including emissions trading programs. The CPP requires states to submit their final plans by September 6, 2016, but provides for the availability of a two-year extension. In total, the CPP aims to reduce carbon emissions from the power sector by 32% compared to 2005 levels. Other benefits of the plan are predicted to include a significant reduction in emissions of other air pollutants such as sulfur dioxide and nitrogen oxides, net financial benefits of up to $45 billion, and observable public health benefits. Second, the states claimed that the CPP is unlawful because the affected power plants are already regulated for hazardous air pollutants under Section 112. In this regard, the states made an argument regarding the discrepancy in the legislative history behind Section 111(d), in which the Senate and the House each passed a different version of the 1990 amendments to Section 111(d) due to a clerical error. The Senate version amended Section 111(d) to allow for regulation of any air pollutant not covered under Section 108 or listed under Section 112. On the other hand, the House version excluded any pollutant “emitted from a source category” regulated under Section 112, implying that as long as the source category is already being regulated for hazardous pollutants, the EPA cannot apply additional requirements to that source under Section 111(d). In its final rule, the EPA engaged in an extensive discussion regarding the discrepancy, ultimately arriving at an interpretation that harmonizes the two versions. The EPA read Section 111(d) to mean that “the Section 112 Exclusion excludes the regulation of [hazardous air pollutants] under [S]ection 112 if the source category at issue is regulated under [S]ection 112, but does not exclude the regulation of other pollutants, regardless of whether that source category is subject to [S]ection 112 standards.” This interpretation would allow for the EPA to regulate greenhouse gases, not listed as a hazardous pollutant under Section 112, even for source categories that are regulated for other Section 112 pollutants. The states, in their motion for a stay of the CPP, argued that the presence of the Senate version in the legislative history does not create a statutory ambiguity by which the EPA is allowed to adopt a reasonable interpretation of a vague provision. Because the Senate’s version of Section 111(d) appeared in the 1990 Statutes at Large, but the House version was included in the U.S. Code, the states asserted that the House language is binding and clearly prohibits the type of regulation that the EPA purports to achieve in the CPP. Next, the states claimed a stay of the CPP was necessary because of irreparable harm that would result from its implementation, in the form of 1) sovereign harms upon the states’ regulation of intra-state electricity, 2) financial burdens from the significant man-hours of work to be done by energy and environmental regulators, and 3) the immediate need to begin the regulatory process under the CPP despite the long timeline of implementation. The states also asserted that a stay is in the public interest because energy regulators would benefit from a complete litigation of their legal obligations prior to undertaking any significant steps under the CPP. On January 21, 2016, the D.C. Circuit denied the motion to stay the CPP until litigation concludes on the substantive challenges to the CPP. The court determined that the plaintiffs had not met the “stringent requirements” for a stay pending court review. Not three weeks later, the Supreme Court overruled the D.C. Circuit and granted a stay against the CPP. Five justices voted in favor of the stay, with Justices Ginsburg, Breyer, Sotomayor, and Kagan voting against. This stay is particularly surprising, and unprecedented, given the high standard the plaintiffs must meet to be awarded preliminary injunctive relief. It is unclear whether the Court placed greater weight on the merits of the plaintiffs’ substantive arguments or somehow saw the likelihood of irreparable injury in allowing the CPP to be slowly implemented over the next fifteen years. These questions are of crucial importance, and a full-length opinion on the stay, even though that is something the Court regularly does, could have elucidated the exact bases for the decision in a manner that provides more certainty for the litigants and the country moving forward. Nevertheless, now that the CPP is halted pending litigation, the looming question is what the future holds for the CPP. With the stay in place, states are no longer obliged to continue with regulatory efforts to implement the CPP and develop state plans. Most states will likely abandon their previous efforts to comply with the CPP, but some may continue to develop certain facets of their state plans in the event that the CPP will be upheld to some degree. The future of the litigation will play out over an extended period of time, and the results are challenging to predict with certainty. Currently, oral arguments in front of the D.C. Circuit are scheduled for June 2-3, 2016. Per this schedule, the D.C. Circuit’s decision may not arrive until late 2016, possibly after the September deadline for the submission of state plans under the CPP. Given the D.C. Circuit’s unwillingness to issue a stay, it is fair to predict that the Circuit Court will similarly rule in favor of the EPA. In fact, the announcement of the panel of judges hearing the case is favorable to the EPA, with two appointments from Democrat presidents and a conservative judge who has sided with the EPA on several occasions. Even if the EPA is successful at the Circuit level, the Supreme Court’s stay will remain in place until the Supreme Court either denies a writ of certiorari (extremely unlikely) or enters its own judgment. Given the drawn-out process of Supreme Court jurisprudence, a final decision on the litigation may not arise until the second quarter of 2017. Therefore, even if the CPP is upheld, the EPA’s implementation timeline would be set back by almost a full year, triggering a cascade of delays and likely requiring significant revisions of the rules. Despite the logistical complications this outcome may cause, it would be more than manageable for the EPA. The agency would likely still be able to preserve the ultimate mission to achieve particular emissions reduction goals in each state by 2030. Unfortunately, following the Supreme Court’s granting of a stay against the CPP, the EPA should not be over-confident heading into the Supreme Court chambers. In the (near-certain) event that the Supreme Court decides to hear the case after the D.C. Circuit, the fate of the EPA’s regulatory darling will seemingly turn on the most moderate of the conservative Supreme Court justices. Justice Anthony Kennedy, voting in favor of the stay on the CPP, was the deciding vote in Massachusetts v. EPA. A proponent of federalism and states’ sovereign rights, Justice Kennedy may have been persuaded by the states’ interests in getting greenhouse gases regulated under the CAA. However, he may not look as favorably toward the CPP’s effects on states. While states have significant flexibility under the CPP to meet the emission reduction targets in any manner they see fit, the imposition of an emissions reduction requirement in the first place can potentially interfere with a state’s desired energy profile and could have significant repercussions on the local economy. This is why more than half of states in the country have joined in on some kind of challenge to the CPP. It therefore seems likely that Justice Kennedy, given his jurisprudence on federalism, will side with these states as they strive to maintain state sovereignty in the energy sector. This position, however, would be hard to rectify with Justice Kennedy’s voting record in Massachusetts v. EPA, especially considering that stationary source regulation for greenhouse gases is an inevitable corollary of an endangerment finding under Section 202. The EPA clearly intended for the CPP to provide states sufficient leeway to feel comfortable achieving the requisite reductions in a manner tailored to their individualized needs. It would be an odd result for Justice Kennedy to find this an overstep into traditional state regulation when such a holding would undermine the federal objectives of the CAA, which he personally expanded to encompass greenhouse gases. And the CPP affords states ample discretion in crafting a state plan that satisfies the emission reduction targets, perhaps more than what the states are entitled to receive under legal precedent. Regardless, if the five conservative justices find the state sovereignty argument compelling, that will be sufficient grounds to invalidate the entire CPP. One other avenue for striking down the CPP is the statutory interpretation question regarding the legislative history of Section 111(d). 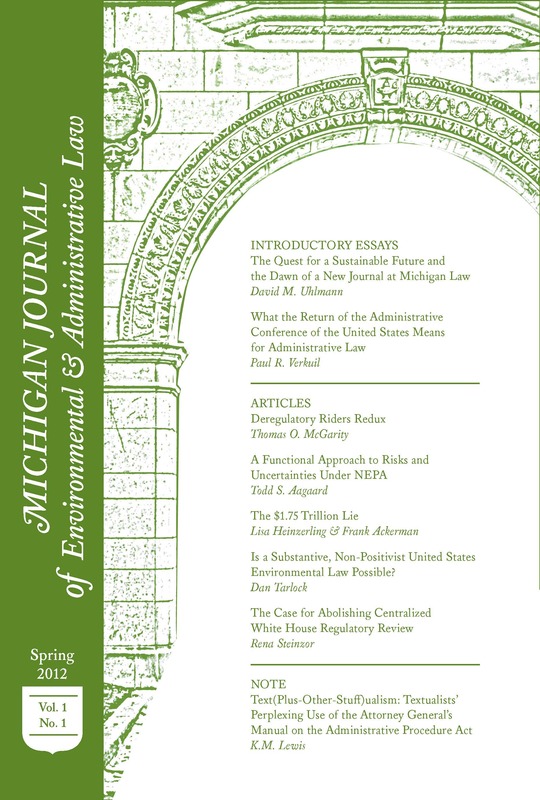 If the Court finds the provision to be clear and unambiguous in prohibiting the EPA from regulating existing sources already subject to Section 112 permitting requirements, then the reach of the CPP would at best be highly limited to only those power plants that do not have the potential to emit 250 tons per year of hazardous air pollutants (of which there are few, if any), and at worst struck down altogether. On the other hand, if the Court buys into the muddied legislative history and considers the EPA’s interpretation of a vague provision to be permissible, then the entirety of the CPP would not be statutorily suspect on these grounds. Another option is available to the Court, where it could partially uphold the CPP for its regulation of existing sources but strike down the portions of the plan that may involve regulation “outside the fence.” This mainly concerns the second and third building blocks of the BSER, which are to encourage natural gas generation and renewable energy generation, respectively, as substitutes for high-carbon fossil fuel generation. The availability of these “generation-shifting” measures are incorporated into the BSER calculations for each state, and therefore if the Court finds these provisions an overreach of the EPA’s statutory authority, it will unwind a significant portion of the EPA’s emissions reduction targets. Again, this is a matter of statutory interpretation based on whether Section 111(d) unambiguously intends to limit regulation under that provision to only the design or operations of “existing” sources of the targeted pollutant. The practical effects of a partial invalidation of the CPP are difficult to ascertain, given the significant weight placed on the BSER in the final rule. Even in this scenario, the EPA would be sent back to the drawing board to come up with a whole new way to achieve its desired emissions targets. Given the multitude of legal challenges from which the justices have to choose, it seems likely that Justice Kennedy will join with his conservative colleagues on at least one of the legal bases to invalidate the CPP. Can a NAAQS for Carbon Dioxide Save the Day? It is clear that in light of the Supreme Court’s stay on the Clean Power Plan, things are not looking great for the EPA. In preparation for an adverse Supreme Court ruling, the EPA should already be identifying ways to re-implement the goals of the CPP. The CPP was a key program in place to help the United States achieve its intended nationally determined contribution (INDC), of at least a 26% reduction from 2005 levels by 2025, under the Paris Agreement from the United Nations Framework Convention on Climate Change. If the CPP is no longer viable, the EPA will need to have an alternative plan in place to satisfy the nation’s reduction obligations. To this end, there is still one significant mechanism to regulate greenhouse gases under the CAA that the EPA has yet to utilize: the setting of a National Ambient Air Quality Standard for carbon dioxide. Indeed, the EPA is legally obligated to declare greenhouse gases as criteria pollutants under Section 108(a) after making an endangerment finding regarding mobile sources under Section 202(a). The requirements for listing a criteria pollutant under Section 108(a)(1) are findings that the pollutant (A) may reasonably be anticipated to endanger public health or welfare, (B) is emitted from numerous or diverse sources, and (c) is one for which the EPA plans to issue air quality criteria. In the case of Natural Resources Defense Council v. Train, the Second Circuit held that “[o]nce the conditions of [Section] 108(a) (1)(A) and (B) have been met, the listing of lead and the issuance of air quality standards for lead become mandatory.” Because the EPA already made an endangerment finding for greenhouse gases from mobile sources, and because greenhouse gases are clearly emitted from a plethora of stationary sources throughout the country, the EPA is similarly legally required to list greenhouse gases as criteria pollutants. And once a criteria pollutant is listed, the EPA is obligated to develop a NAAQS for that pollutant under Section 109, at a level requisite to protect the public health and welfare. The Center for Biological Diversity filed a petition with the EPA to list greenhouse gases as criteria pollutants on December 2, 2009. The petition asks for the EPA to set a NAAQS for carbon dioxide at 350 ppm, far lower than current levels throughout the world. At this point in time, it is unclear what the extent of the EPA’s response to this petition has been, or if the EPA has even acknowledged it at all. To be sure, listing greenhouse gases as criteria pollutants would be a drastic and radical option for the EPA. It would bring the entire country’s GHG emissions under the jurisdiction of the EPA, which would be uniquely situated to effectuate emissions reductions in numerous ways. The promulgation of a NAAQS for greenhouse gases would still give states considerable flexibility to determine how to reduce emissions through state implementation plans, in a manner similar to the CPP but with far more stringent targets. There are also drawbacks to such a scheme, a primary concern being that the entire country would perpetually be in non-attainment for exceeding the concentrations of greenhouse gases set in the standard. But in the event that the EPA finds itself picking up the pieces that were once the Clean Power Plan, perhaps it would be time to take a more dramatic approach to ensure that our country can meet its INDC that it pledged to the international community back in December 2015. It will be interesting to see whether this extreme route of greenhouse gas regulation becomes elevated to the forefront of the national climate change discussion if the Supreme Court carries out the execution of the CPP as it has threatened to do by issuing a stay. Without the CPP, the EPA clearly would need to take drastic action to meet the emission reduction contributions pledged under the INDC. The public perception regarding climate change is clearly progressing toward a strong drive for action. Individual states have not been proactive enough in regulating greenhouse gases, revealing a need for national action. The EPA is certainly making every effort to incorporate greenhouse gases within the purview of the Clean Air Act. Given the poor knowledge about climate change when the CAA was enacted, the EPA has been creative in identifying regulatory solutions amidst ill-adapted statutory language. The Supreme Court’s stay of the Clean Power Plan is just the latest development in a perpetual struggle over how to adapt a decades-old, excessively-complex statute to arguably the most significant environmental disaster our planet will ever face. National greenhouse gas regulation under the CAA is inevitable, and the EPA will continue to search for the judicially-approved answers. Whether those answers take the form of the Clean Power Plan, or whether the EPA must resort to a more drastic measure such as National Ambient Air Quality Standards for greenhouse gases, is yet to be seen. Benjamin Avi Haris is a third-year law student at UCLA Law School. He is an Executive Editor for the UCLA Journal of Environmental Law & Policy. This post is part of the Environmental Law Review Syndicate. The original post can be viewed here. See Massachusetts v. EPA, 549 U.S. 497, 528-29 (2007); 42 U.S.C. § 7521(a)(1). See Endangerment and Cause or Contribute Findings for Greenhouse Gases Under Section 202(a) of the Clean Air Act, 74 Fed. Reg. 66,496 (Dec. 15, 2009). See Light-Duty Vehicle Greenhouse Gas Emission Standards and Corporate Average Fuel Economy Standards; Final Rule, 75 Fed. Reg. 25,324 (May 7, 2010). See Prevention of Significant Deterioration and Title V Greenhouse Gas Tailoring Rule, 75 Fed. Reg. 31,514 (June 3, 2010). See Utility Air Regulatory Group v. EPA, 134 S. Ct. 2427, 2449 (2014). The Tailoring Rule sought to raise the threshold of greenhouse emissions for which stationary sources would be subject to permitting requirements to 100,000 tons per year, even though the statute explicitly stated that limit to be the potential to emit 250 tons per year. Id. at 2444-45. The Court found this to be an impermissible construction of an unambiguous statute. Id. at 2445. 42 U.S.C. § 7411(d)(1) (2012). See Carbon Pollution Emission Guidelines for Existing Stationary Sources: Electric Utility Generating Units, 80 Fed. Reg. 64,662, 64,665 (Oct. 23, 2015). Id. at 64,666; see also Envtl. Prot. Agency, Overview of the Clean Power Plan: Cutting Carbon Pollution from Power Plants 3 (2015) [hereinafter Clean Power Plan Fact Sheet], available at http://www.epa.gov/sites/production/files/2015-08/documents/fs-cpp-overview.pdf. Carbon Pollution Emission Guidelines for Existing Stationary Sources, 80 Fed. Reg. at 64,666. Id. Vermont and Washington, D.C. were excluded because the EPA found that they do not have affected EGUs, while Alaska and Hawaii were excluded because there was insufficient information or analytical tools to quantify a BSER. Id. at 64,664. Clean Power Plan Fact Sheet, supra note 9, at 2-3. Challenges were originally brought prematurely against the proposed CPP before the final version was published in the Federal Register, and the D.C. Circuit subsequently denied the plaintiffs injunctive relief. See Jeremy P. Jacobs, Court Denies Initial Bid to Block Obama Climate Regime, Greenwire (Sept. 9, 2015, 5:28 PM), http://www.eenews.net/greenwire/stories/1060024457. See Petition for Review at 2, West Virginia v. EPA, No. 15-1363 (D.C. Cir. Oct. 23, 2015), available at http://www.ago.wv.gov/publicresources/epa/Documents/File-stamped%20petition%2015-1363%20(M0108546xCECC6).pdf; 42 U.S.C. § 7607(b)(1) (2012)..
 See State Petitioners’ Motion for Stay and for Expedited Consideration of Petition for Review at 7-10, West Virginia v. EPA, No. 15-1363 (D.C. Cir. Oct. 23, 2015), available at https://www.edf.org/sites/default/files/content/2015.10.23_states_motion_for_stay_expedited_consideration.pdf. Id. at 7-8. In fact, the EPA initially included energy efficiency programs as a fourth building block of the BSER but dropped it from the final rule given these very concerns about jurisdiction. See Carbon Pollution Emission Guidelines for Existing Stationary Sources: Electric Utility Generating Units, 80 Fed. Reg. 64,662, 64,673 (Oct. 23, 2015). State Petitioners’ Motion for Stay, supra note 24, at 10-11. Clean Air Act Amendments of 1990, Pub. L. No. 101-549, § 302(a), 104 Stat. 2399, 2574. Clean Air Act Amendments of 1990 § 108(g), 104 Stat. at 2467. Carbon Pollution Emission Guidelines for Existing Stationary Sources: Electric Utility Generating Units, 80 Fed. Reg. 64,662, 64,710-15 (Oct. 23, 2015). Id. at 64,715 (emphasis added). State Petitioners’ Motion for Stay, supra note 24, at 15. The legal standard for preliminary injunctive relief requires a plaintiff to “establish that he is likely to succeed on the merits, that he is likely to suffer irreparable harm in the absence of preliminary relief, that the balance of equities tips in his favor, and that an injunction is in the public interest.” Winter v. Natural Res. Def. Council, 555 U.S. 7, 20 (2008). State Petitioners’ Motion for Stay, supra note 24, at 15-19. See Order Denying Motions for Stay at 2, West Virginia v. EPA, Case No. 15-1363 (D.C. Cir. Jan. 21, 2016), available at https://www.edf.org/sites/default/files/content/2016.01.21_order_denying_stay_motions.pdf. Id. (citing Winter v. Natural Res. Def. Council, 555 U.S. 7, 20 (2008)). See Order in Pending Case, West Virigina v. EPA (Feb. 9, 2016), available at http://www.scotusblog.com/wp-content/uploads/2016/02/15A773-Clean-Power-Plan-stay-order.pdf. For a strong argument for why the Supreme Court’s decision to stay the CPP is inconsistent with the law, see Ann Carlson, The Decision to Halt the Implementation of the Clean Power Plan is Outrageous, Legal Planet (Feb. 9, 2016), http://legal-planet.org/2016/02/09/the-decision-to-halt-the-implementation-of-the-clean-power-plan-is-outrageous/. See Order Denying Motions for Stay, supra note 39, at 2. See Megan Herzog, EPA Wins the First Round in Clean Power Plan Litigation, Legal Planet (Jan. 27, 2016), http://legal-planet.org/2016/01/27/epa-wins-the-first-round-in-clean-power-plan-litigation/. See Order in Pending Case, supra note 41. This, of course, is wholly dependent on the assumption that the 2016 presidential election will produce a leader motivated to continue carrying out the implementation of the CPP. See Ann Carlson, Initial Thoughts on the Supreme Court Staying the Clean Power Plan, Legal Planet (Feb. 9, 2016), http://legal-planet.org/2016/02/09/initial-thoughts-on-the-supreme-court-staying-the-clean-power-plan/. See Linda Greenhouse, Justices Say E.P.A. Has Power to Act on Harmful Gases, N.Y. Times (Apr. 3, 2007), http://www.nytimes.com/2007/04/03/washington/03scotus.html. See U.S. Cover Note, INDC and Accompanying Information (2015), http://www4.unfccc.int/submissions/INDC/Published%20Documents/United%20States%20of%20America/1/U.S.%20Cover%20Note%20INDC%20and%20Accompanying%20Information.pdf. See Kassie Siegel et al., Strong Law, Timid Implementation. How the EPA Can Apply the Full Force of the Clean Air Act to Address the Climate Crisis, 30 UCLA J. Envtl. L. & Pol’y 185, 209 (2012). 42 U.S.C. § 7408(a)(1)(A)-(C) (2012). Natural Res. Def. Council v. Train, 545 F.2d 320, 328 (2d Cir. 1976). While this case would not be binding on the D.C. Circuit in the event that the EPA refuses to list greenhouse gases as criteria pollutants, it would likely have a strong persuasive effect. See Siegel et al., supra note 52, at 209-10. Greenhouse Gases Pursuant to the Clean Air Act (2009), available at http://www.biologicaldiversity.org/programs/climate_law_institute/global_warming_litigation/clean_air_act/pdfs/Petition_GHG_pollution_cap_12-2-2009.pdf. See Spiegel et al., supra note 52, at 211. For a discussion of criticisms of a NAAQS for greenhouse gases and responses to those criticisms, see id. at 213-24.